Aziz Ansari, Eric Wareheim, Noël Wells et al. DVD: 276 min., Blu-ray: 287 min. 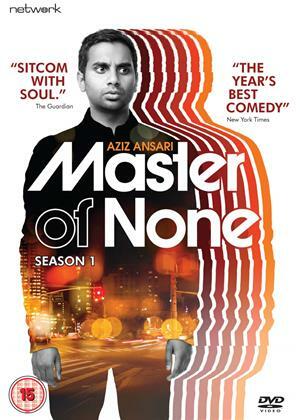 Created by Aziz Ansari and Alan Yang, 'Master of None' became an immediate global hit on Netflix, was named "the year's best comedy" by the New York Times and has won numerous awards and nominations - including an Emmy for Outstanding Writing in a Comedy Series and a Golden Globe for Ansari's performance as Dev Shah, a 30-year-old trying to jump-start his acting career and elevate his dating game with help from his eclectic group of friends. Set in New York, this clever, charmingly offbeat comedy co-stars Noël Wells, Eric Wareheim, Kelvin Yu, Lena Waithe and Alessandra Mastronardi. Guest stars include Colin Salmon, Claire Danes, John Legend and Angela Bassett.